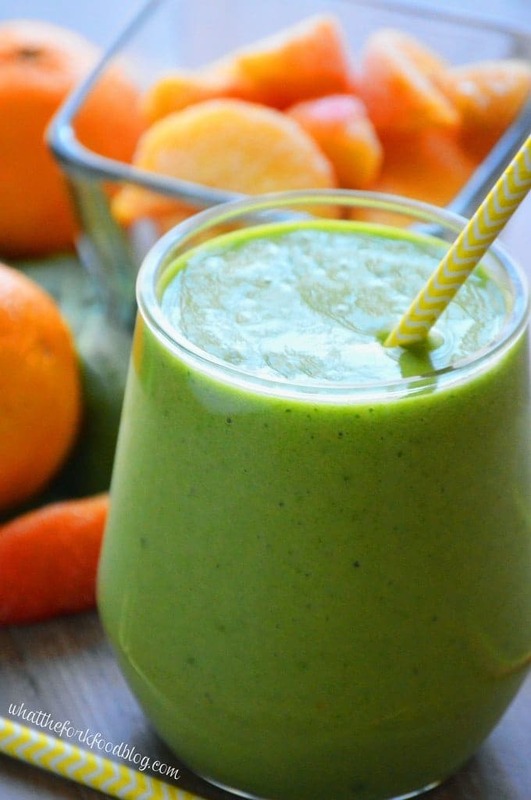 This Peach Green Smoothie is fresh, healthy and delicious. 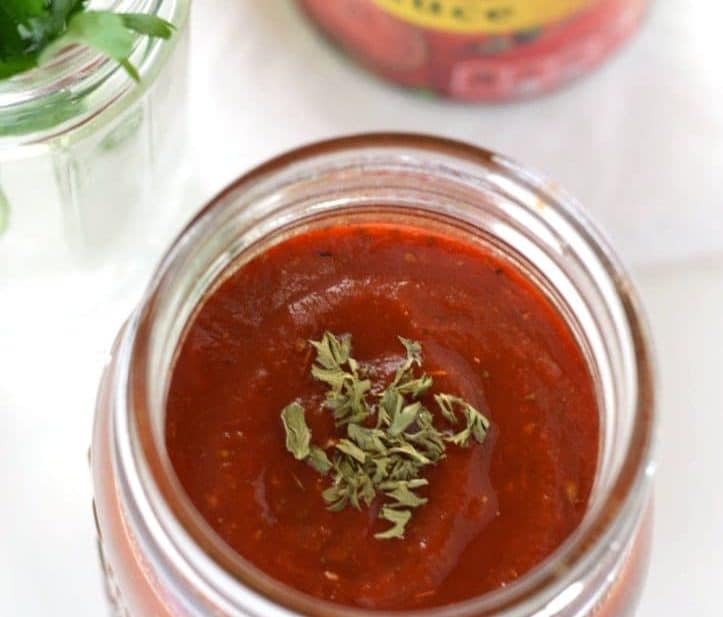 It’s perfect for light meals or snacks. 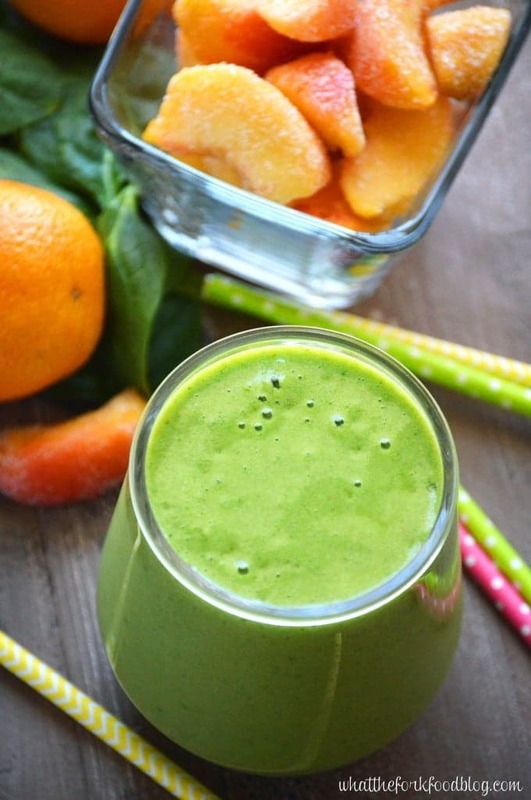 I am in looove with this peach green smoothie. I seriously have been drinking it every day for more than a week straight. I’ve been drinking it so much, that Kelsey has been making her own smoothies in her own little kitchen. She puts every piece of play food in the biggest container possible and encourages me to drink it. For my health. Because plastic food is oh so delicious and nutritious. Seriously though, this peach green smoothie is da bomb diggity yo. If it wasn’t green, you wouldn’t know it was healthy. But really, it’s absolutely delicious. 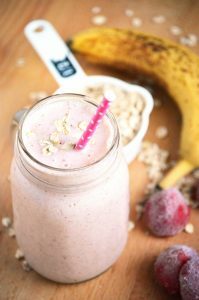 I use frozen peaches so they make the smoothie nice and thick and creamy without watering it down from ice. I froze the peaches myself when I bought peaches from the orchard by the bushel (I’m not even kidding) over the summer. If you read a few of my older posts, you’d know that I have a peach obsession. Not just any peaches though, ripe summer peaches. 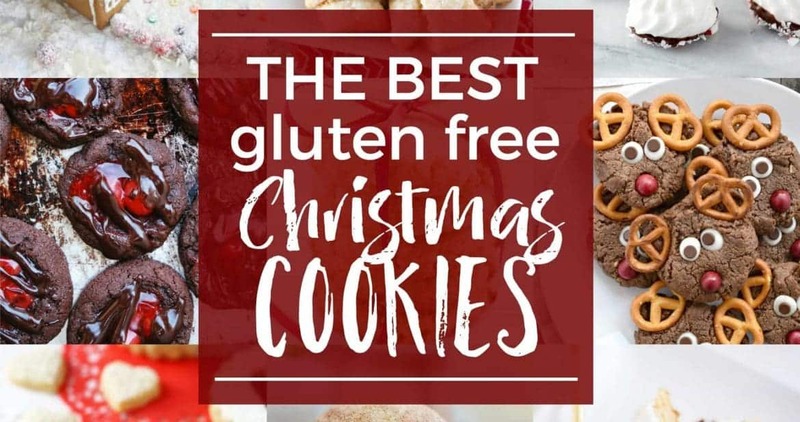 They’re oh so good. I bought a bazillion (not an exaggeration) during the summer and froze them myself so I could enjoy their sweet goodness year round. 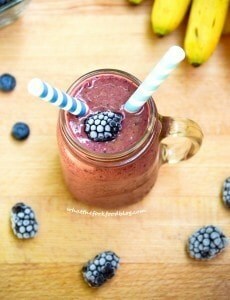 They’re perfect in this smoothie. But just in case you didn’t fill every spare inch of your freezer with peaches, I’m going to quote Ina on this one and say, “Store-bought is fine”. 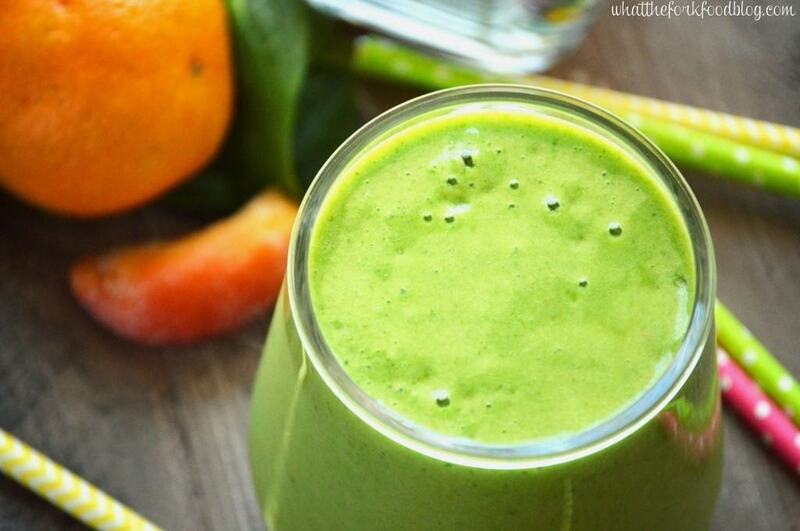 Add the coconut milk, peaches, spinach, vanilla and honey to a blender. Blend a few minutes until smooth. Add the water as necessary to reach desired thickness. For a creamier smoothie, skip the water and use more coconut milk. 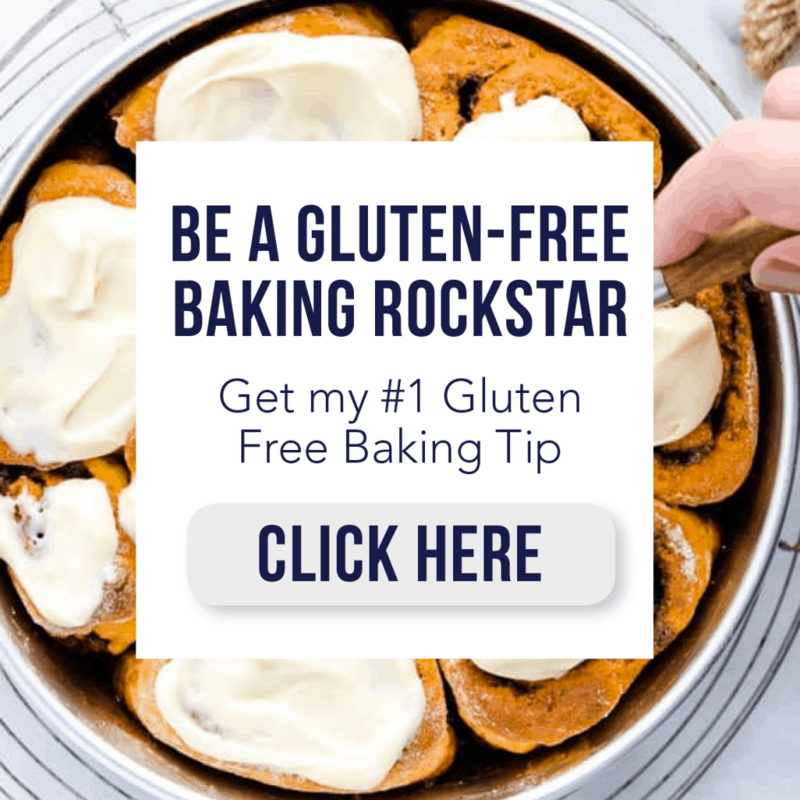 This post is linked to Inspiration Monday, Made by You Monday, Two Cup Tuesday, Totally Talented Tuesdays, Create Link Inspire, You’re Gonna Love It Tuesday, The SITS Girls, Create & Share DIY and Recipe Party, Gluten-Free Wednesdays, What’s Cookin’ Wednesday, Allergy Free Wednesday, Wine’d Down Wednesday, Full Plate Thursday, Showcase Your Talent Thursday, Create it Thursday, Crafty and Delicious Party, Your Turn To Shine, Pin Junkie Pin Party, Gluten-Free Fridays, Link Party Palooza, Kitchen Fun and Crafty Friday, Saturday Night Fever, Weekend Bites, Weekend Wind-Down, Weekend Potluck and Best of the Weekend. 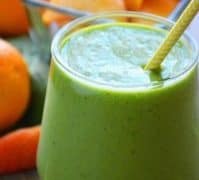 we LOVE green smoothies too and I’m always looking for new recipes!! thanks, I love peaches!! This sounds delicious. We make green smoothies fairly often around here, but I have yet to make one with peaches! I have no idea why that is. I saw your post, and I thought “why have I never put peaches in my smoothies? ?” That needs to change. Now. You will LOVE the peaches! We love to make smoothies, especially in the summer. And I love anything peach…will have to add this to the rotation soon! I love the way you sneak a clementine in there, too! That must complement the peach so nicely. 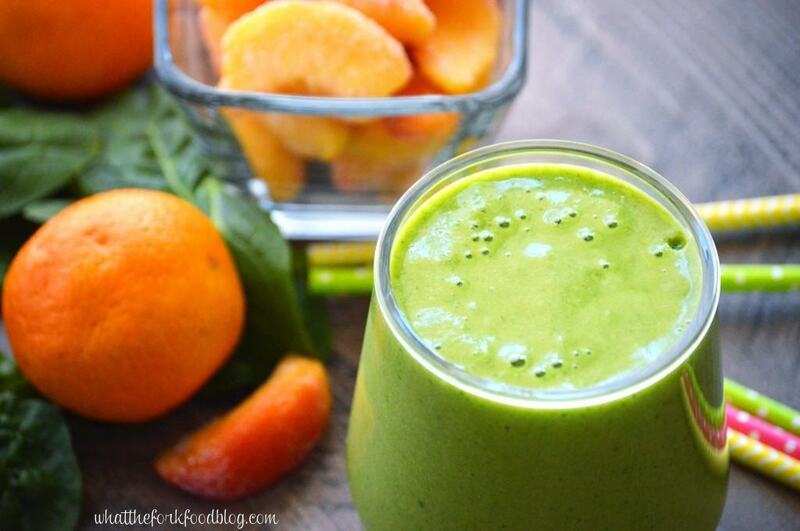 We will just love your Peach Green Smoothie, a great photo! Hope you are having a great week and thanks so much for sharing with Full Plate Thursday. I want this! 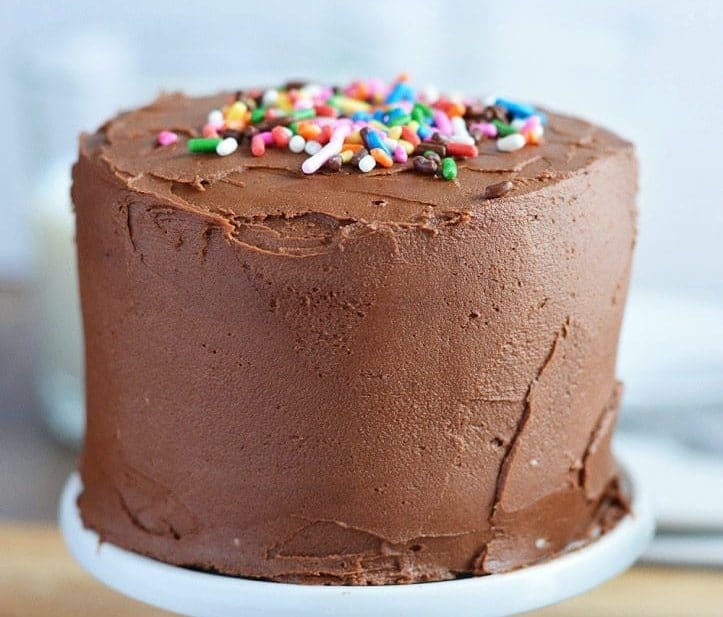 Featuring your recipe this week…I would add some gelatin for protein! This was very good! I used coconut water and coconut yogurt for the liquids, and added some gelatin for protien…a lovely, easy combo! Thanks Sharon! Glad you liked it! What kind of gelatin do you use? gelatin is amazingly good for you too! I love this smoothie concept with peaches! All summer long the peaches available in the stores were disappointing. Now I can satisfy my craving with frozen peaches in a smoothie. Total win!